Fashion design students showcased their red dresses as part of the AHA’s Rock the Red Runway fashion show. 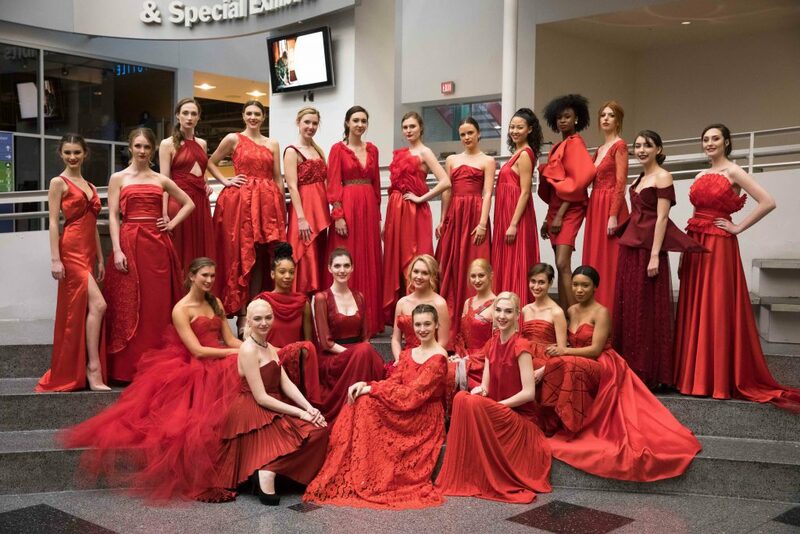 The red dress has become a symbol of efforts to raise awareness about heart health in women. With influences ranging from heartbreak and renewed strength, the stained glass of gothic cathedrals and the circulatory system, 27 fashion design students showcased their red dresses as part of the American Heart Association’s (AHA) Rock the Red Runway fashion show March 28 at the Franklin Institute. The top designs will be featured at the AHA’s annual red dress luncheon in May and in a Macy’s Center City display window throughout July. The top designs will be featured in a Macy’s Center City display window throughout July. The winners include juniors Marquise Smith, first place and people’s choice; Shannon Frawley, second place; and Faith McGary, third place. Colleen Wyse, founder of the Philadelphia Trunk Show; Liza Rose, head designer at Jenny Yoo New York; and local bridal designer Madeleine Larouche judged the competition hosted by Bill Henley of NBC10. 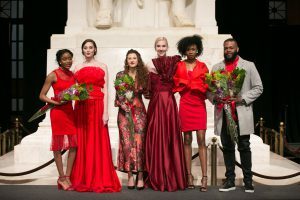 The students designed the dresses as part of their pattern development course, which builds draping skills, said Catherine Casano, adjunct professor of fashion design, who coordinates the event. The Jefferson fashion program has collaborated with the AHA for about a dozen years for this show. The red dress has become a symbol of efforts to raise awareness about heart health in women. Heart disease is the leading cause of death for women in the United States. Visit here for more information about the AHA’s Go Red for Women movement.